Galactic Connection... connecting minds and hearts everywhere to step out of the 3D matrix unilaterally. Even those of us who have done an immense amount of work are still learning how much the 3D set of rules and limitations has pervaded our recent outcomes. What you will learn as you listen is news, education, research, healing information, and out-of-this-world perspectives in regards to people, government, country, world, planet, aliens, UFO’s, Galactic Brotherhood, Ascended Masters, solar systems, ancient civilizations and beyond. 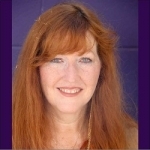 Alexandra Meadors is the creator of the popular website and blog at GalacticConnection.com, committed to bridging spiritual consciousness with cosmic awareness. On fire to prepare and shift global perspectives gracefully, respectfully, and galactically, Alexandra’s focus is to connect minds and hearts everywhere to step out of the 3D matrix unilaterally. By bringing forth the cutting-edge Implant Removal Process, Soul Alignment, and DNA Activation with Rev. Pam Plauché, she contributes an authentic freedom and effective unplugging from The Matrix we now live in. Due to a debilitating car accident in 2001, Alexandra was “forced” to step out of the matrix and trek through an extremely painful and challenging 11 year journey to heal herself through every alternative healing modality available. From the lineage of Merlin, Alexandra is a master alchemist, working with quantum homeopathy, minerals, flower essences, sacred symbology, crystals, color, sound, and more to assist others in clearing past life blockages and all levels of pain. In addition to being a compassionate alchemist, Alexandra is a powerful intuitive allowing the miraculous messages from Spirit to unfold with the ego in check. Besides holding certifications in Homeopathy, Flower Essences, and Reiki, Alexandra also holds a BA degree in Economics and a minor in Spanish from the University of California, Irvine. With over 20 years of experience in Corporate Sales and Management, she brings a balanced perspective on this thing we call life.